I only like to use a matte top coat with certain nail polishes. The formula and application has to be near perfect otherwise the top coat will highlight any imperfections. This happens even if the nails look good beforehand. The three I have in these photos are Barry M's Navy & OPI Last Friday Night, OPI Extravagance, Accessorize Aztec and Models Own Blue Lagoon. 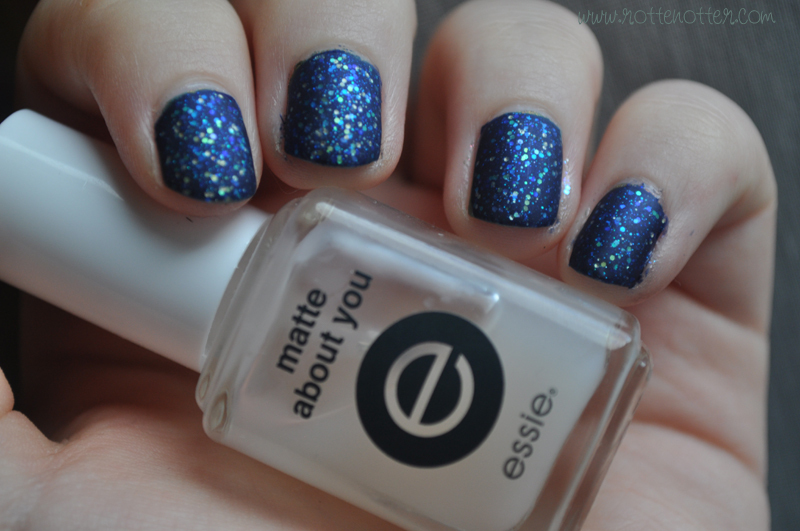 I find glitter or shimmer polishes look best and the topcoat I use is Matte About You from Essie. This is the only one I've used, I love it so haven't felt the need to buy another one. 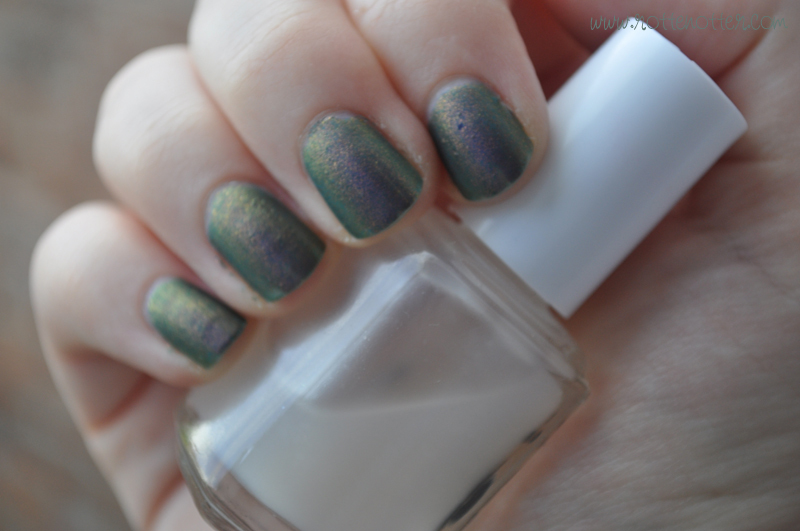 From reading other nail blogs, this sounds like the best one although it is quite expensive. It seems like it gives you the most matte finish and doesn't alter the colour of the polish too much. 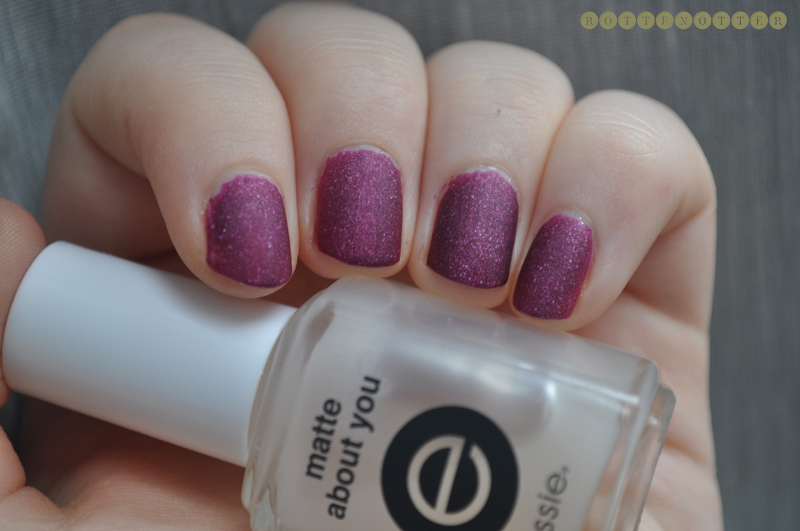 The glitter polish look almost suede like when a matte topcoat is applied, sort of like the OPI suede polishes. What I usually do is when I'm about to take off a nail polish I'll put the matte top coat on a few nails to see how it looks. It's a great way to do it so if it doesn't look good it's not going to mess up your freshly painted nails. 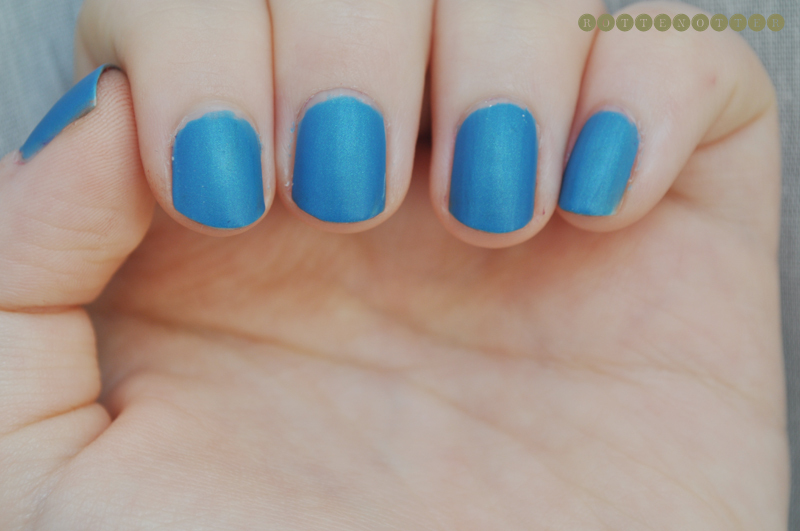 Are you a fan of matte nails?